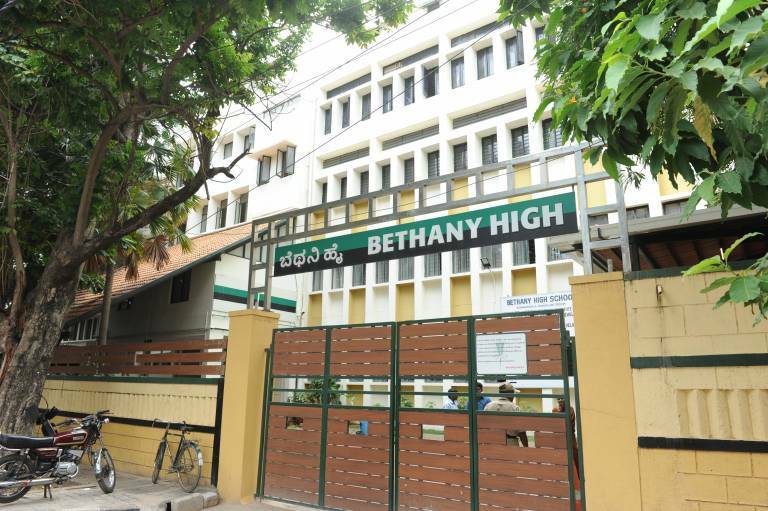 Bethany High is an ICSE and ISC affiliated school located in the sixth block of Koramangala, Bangalore, India. It has over 2500 students from Nursery through Class 12. Bethany High has an ISC Junior College, of Classes 11 and 12. It also has a hostel (Bethany Integrated Home) for boarders and Bethany Special School for children with special needs, located in the eighth bock of Koramangala. The school was founded by Mrs. Mignon David in 1963 and served as a hostel for children from Cottons and Baldwins. The Bethany colors are green and black, with similar-colored uniforms. The Bethany High motto is “Trust and Obey”. This phrase appears in both, its school song and school hymn. Bethany High turned 50 in 2013 and opened up a new campus in Sarjapura Road, which was inaugurated by Mahatma Gandhi’s granddaughter Sumitra Kulkarni. Bethany High follows the ICSE curriculum up till Class 10. Students are offered a choice of subjects from Groups II and III. Students can choose any two of Mathematics, Science (Physics, Chemistry, Biology), Economics or Commercial Studies. From Group III, students can opt for any one subject out of Computer Applications, Commercial Applications, Economic Applications, Art, Drama or Physical Education. 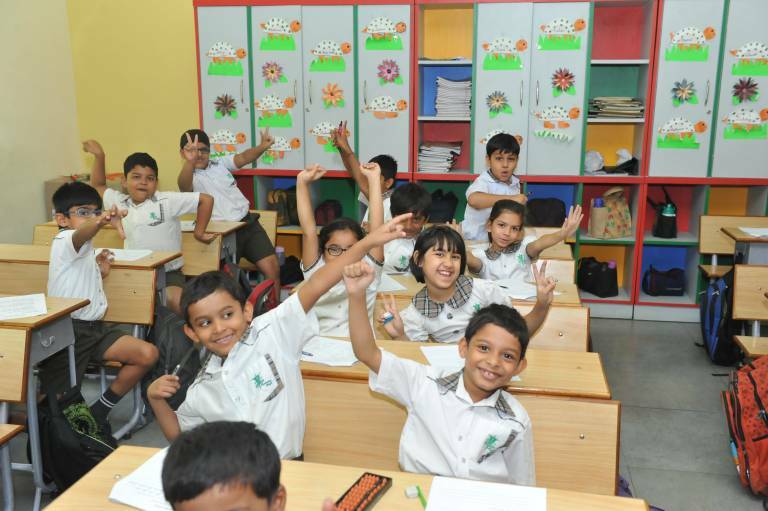 Students are also given a choice of Second Language from Hindi, Kannada, Telugu, Tamil, Sanskrit or French. The academic year begins in June and lasts to March of the following year. For classes 8, 9 and 10 (of the high school), there are two Unit Tests (of 20 marks) and two Term Exams (of 80 marks each). The Class 10 students will appear for the ICSE Board Examinations as their 10th standard finals in March. For Classes 11 and 12 the school follows ISC. There are three streams a student can opt for; Science, Commerce or Arts (Humanities). The school offers subjects such as Physics, Chemistry, Biology, Computer Science, Mathematics, Commerce, Accounts, Business Studies, Psychology, Sociology, Fine Arts and Physical Education. The Class 12 students appear for the ISC Board Examinations in March.